White people surprised by colored fair. 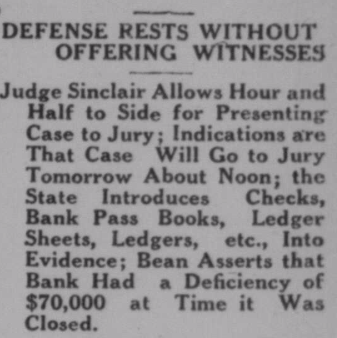 Wilmington Morning Star, 30 December 1913. The white people may have been surprised, but this was not the first “colored fair” in Wilson. The Wilson County Industrial Association, headed by Samuel H. Vick, sponsored fairs as early as 1887 and 1888. Politician and newspaper editor John C. Dancy was a featured speaker at the 1888 event, too. Henry Groves Connor — United States District Court judge for the Eastern District of North Carolina. F.A. Woodard — former United States Congressman Frederick A. Woodard. How Dew’s Rest Home got financed. Naomi Elizabeth Morris (1921–1986), who grew up in Wilson, served on the North Carolina Court of Appeals from 1967 through 1982. She was Chief Judge of that court from 1978 through 1982. In an interview conducted in 1983, Judge Morris recollected her efforts to assist the establishment in the 1950s of Wilson’s first sanctioned nursing home for African-Americans. Though considered progressive for her time and place, Judge Morris’ notions of privilege and segregationist propriety (and that of the interviewer) peek through here. PAT DEVINE: One story that I encountered which struck me with interest as something that I’d love to hear you talk more about was, you alluded to one experience you had in helping to do the legal background work for the founding of the first or only home for indigent blacks in Wilson. JUDGE NAOMI ELIZABETH MORRIS: Not indigent blacks. No, this was a nursing home for blacks. The office had had this woman as a client for many years. She ran a restaurant at one time. She was quite an aggressive, hardworking woman, and she came to me and said that the director of public welfare, Mr. Monroe Fordham [Fulghum], had asked her to open a nursing home for blacks. She had at that time taken in two or three aged people in her home to take care of, under the auspices of the welfare department, and Monroe Fordham had asked her if she would open a nursing home for blacks. She told him that she would if she could get the money, so she came to me to get the money. 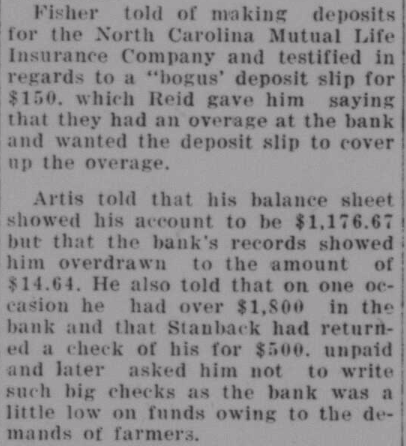 We went many places to borrow money, including from the black insurance company in Durham, and they would not let her have the money. Although she had sufficient property to secure the note, they would not let her have the money, and that made me perfectly furious. I came back to Wilson and called the Branch Bank and told them the situation. I said, “You will be missing a very good opportunity if you don’t let this woman have the money,” so they said they would. They required a lot of her that they might not have required of a white person in the same situation — I don’t know — but this was something new and untried. The man who did the electrical work took her note for the electrical work without any security. We worked it out to the point that she had her financing, and she paid everybody back ahead of time. One way she did it, in the summer when the crops would be coming in and the people would have gotten their crops harvested from the field, she would get permission to go out to that field and get what was left [gleaning], the small potatoes that they didn’t pick up, the beans on the bottom part of the vine. She would go get those, and that’s the way she fed her people and was able to feed them cheaper than a lot of people could run a home. Extremely well run. PAT DEVINE: Is it still there? JUDGE NAOMI ELIZABETH MORRIS: Oh, yes, it’s still there. About five years after she borrowed the money, the Branch Bank called me and asked me if she would be interested in adding onto her home, that they would be glad to let her have the money. I always wanted to write the insurance company in Durham and say something to them, but I didn’t. PAT DEVINE: That’s hard to understand. JUDGE NAOMI ELIZABETH MORRIS: It is hard. It was very difficult for me to understand, because they always talk about looking after their own and the fact that white people don’t do things they ought to for them. PAT DEVINE: What is this woman’s name? JUDGE NAOMI ELIZABETH MORRIS: Geneva Dew. PAT DEVINE: Is she alive? JUDGE NAOMI ELIZABETH MORRIS: Oh, yes, she’s alive and doing well. I hear from her at least twice a year. She attended my swearing-in ceremony and the party that was given afterward. I’m very fond of her. She’s a very fine person. 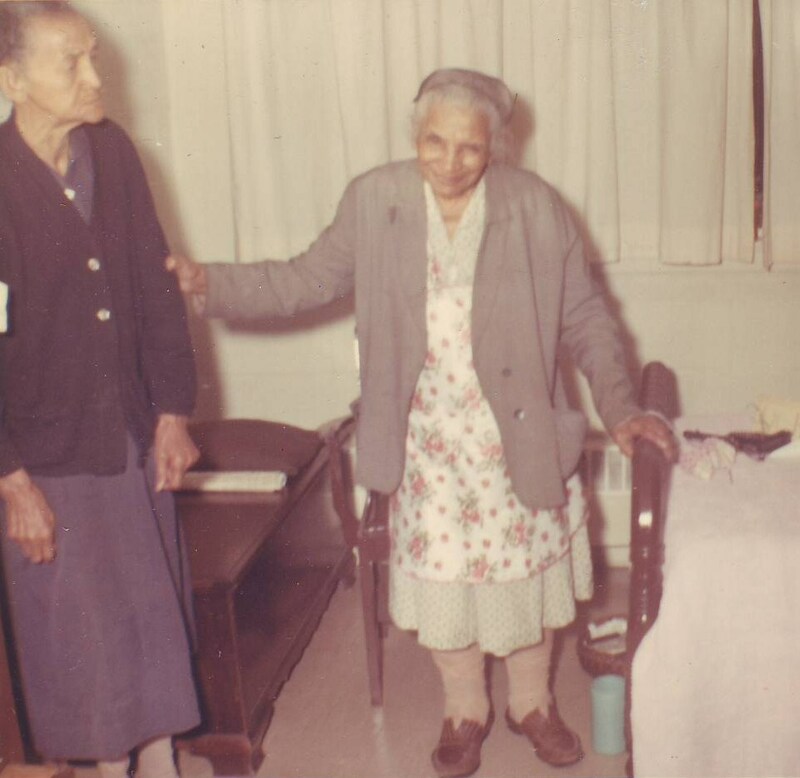 Nina Aldridge Faison Hardy at Dew’s Rest Home, circa mid 1960s. In the 1930 census of Toisnot township, Wilson County: odd jobs laborer Willie Winn, 62; wife Jennie, 60; children Roy, 23, and Pink, 20; and lodger Lula Ward, 45. 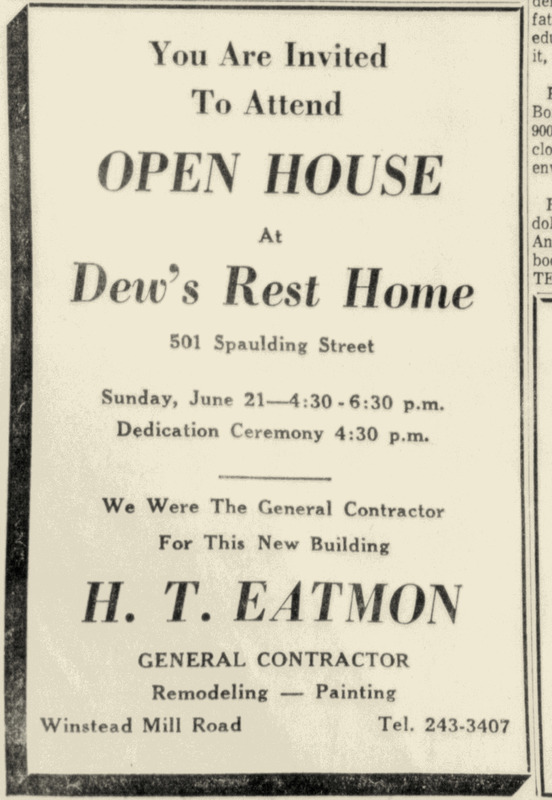 On 27 July 1935, Ernest Dew, 26, of Wilson County, son of Frank Dew, married Geneva Dew, 23, of Wilson County, daughter of Willie and Jennie Wynn, in Nashville, Nash County. In the 1941 Hill’s Wilson, N.C., city directories: Dew Geneva (c) beer 315 Stantonsburg h 203 Stantonsburg. (In the 1947 city directory, the address has shifted 319 Stantonsburg.) The 1950 city directory also shows Dew as owner of a beer establishment. Hill’s Wilson, N.C., City Directory (1960). Earnest Dew died 15 March 1969 in Wilson. Per his death certificate, he was born 18 May 1910 to Frank Dew and Cora Braswell; was married to Geneva Wynn; resided at 501 Spaulding Street, Wilson; and was a rest home operator. Geneva Wynn Dew died 6 November 1984 in Wilson. Dew’s celebrates a move to new quarters. Wilson Daily Times, 20 June 1964. Excerpt from oral history interview with Naomi Elizabeth Morris, November 11 and 16, 1982, and March 29, 1983. Interview B-0050. Southern Oral History Program Collection (#4007) in the Southern Oral History Program Collection, Southern Historical Collection, Wilson Library, University of North Carolina at Chapel Hill; photo of N. Hardy in personal collection of Lisa Y. Henderson. Many thanks to Bob Martin for the correction of Monroe Fulghum’s surname.